Barristers continually develop their skills and knowledge through regular training. In addition to an intensive program of weekly lectures and learning from their masters, pupil barristers must successfully complete an intensive advocacy training course, administered by the Advocacy Training Board to ensure the best possible training and preparation for practice at the Bar of Northern Ireland. The Bar of Northern Ireland offers a comprehensive programme of Continuing Professional Development (CPD) training to assist members in maintaining the highest possible standards of knowledge and skills. It is a professional requirement for all barristers to complete a minimum number of hours in Continual Professional Development training each year. Training events are provided by the Advocacy Training Board and Specialist Bar Associations. 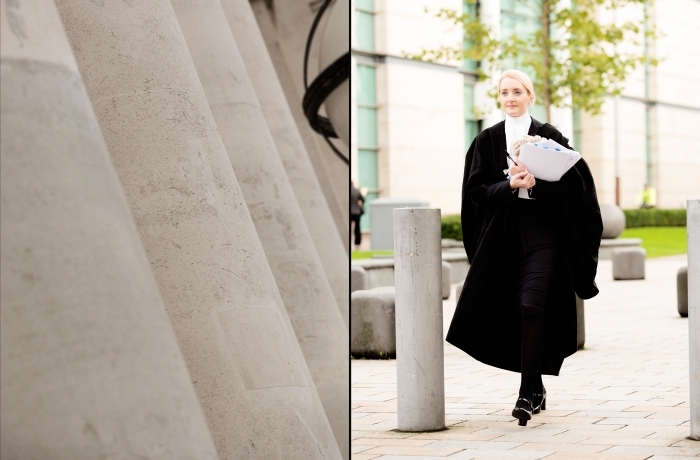 The Bar of Northern Ireland works closely with external agencies and other Professional Bodies to provide training events for barristers and solicitors in Northern Ireland. The Bar of Northern Ireland has an international reputation for excellence in advocacy. Created by the Bar Council in 2011, the Advocacy Training Board oversees the provision of specialist and advanced advocacy training to members of the Bar Library to ensure that the quality of advocacy offered in Northern Ireland is second to none. The Advocacy Training Board delivers a structured 6 month Pupil Advocacy Training Programme every year which includes modules in Family Law, Criminal Law, Judicial Review, Written Advocacy and Expert Witnesses. Senior barristers undergo rigorous training to become advocacy trainers and voluntarily give their time to train the next generation of Barristers. The Advocacy Training Board provides advanced advocacy training to established barristers. The Board works collaboratively with experts in Forensic Accountancy, Psychologists, Psychiatrists and Social Workers to ensure that an effective multi-disciplinary approach is brought to hone skills dealing with expert witnesses. Theoretical training is often hosted in the Inn of Court where senior members of the Bar or Judiciary deliver extensive lectures in many areas of law. Practical training includes detailed case analysis and strategy discussion sessions, followed by individual advocacy performances which are recorded, requiring the barrister participants to test their advocacy skills and ability in a court room setting before being critiqued by advocacy trainers.